Get the Sun Protection Clothing look from head to toe. Always have a bandana on hand for that added sun safety security. You can wear it on your head or you can wear around your neck. The fabric is the same as the other pieces made from UPF 50+ protection. 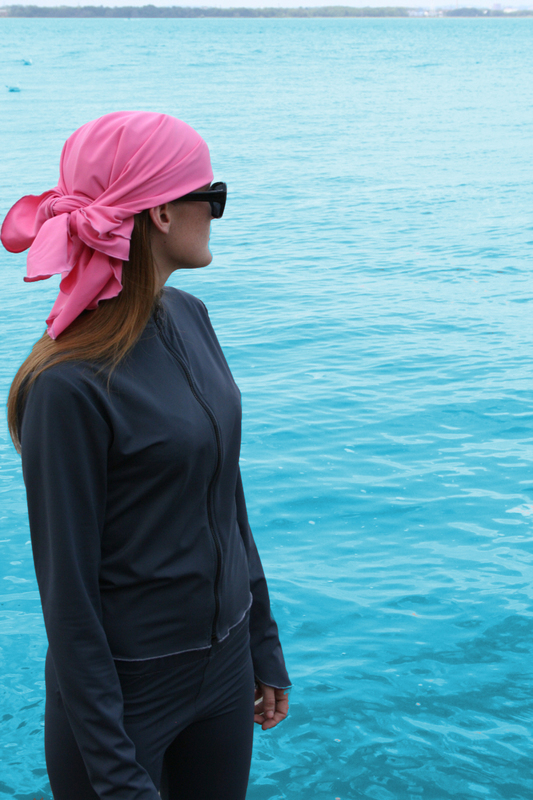 For women, the bandana comes with the signature ruffle edge, for men the finish is a straight edge. I found my lost gloves. I think they are a quality product. You should be proud.